Okay, here’s episode 2 of Denpa Kyoushi! First up, please excuse the awful Typesetting in parts of this episode. They were done with the least possible effort by yours truly in order to speed up things and fill in for a busy Typesetter. The rest of the signs, done by a proper Typesetter, will look great. Thanks to him for going the extra mile and fixing some of them! The episode has a huge filesize because the studio suddenly decided to add grain from this episode throughout the episode, except the OP and ED. 0. This episode supposedly animates chapter 2 of the manga. But those who have read the manga, let me tell you this in advance: This deviates a lot from the manga. Whether or not you’ll like it is your choice. Personally, at first I was infuriated. But I believe I came to terms with it little by little as I translated and subsequently QCed it. Even episode 3 seems it’ll deviate from the manga, so I’m half looking forward to what’ll happen next. 1. First up, you’ll see a few glimpses of this. While I’m not 100% sure, I believe, apart from the algebra-trigonometric equations written, the code seems to be written in some HDL (Hardware Definition Language), which is basically telling a computer about digital logic structure, design, operations etc. Think AND, OR gates and the like. By extension, you can implement adders and everything with those gates in this itself. I still have no idea how this is useful for Kagami, but yeah. 2. This one would be more relevant for y’all who watch anime. Remember Fractale? It aired sometime in 2011, probably Spring. I still remember downloading it at 256 Kbps broadband internet I just got. Those were UTW’s releases by the way. So here, what you see as “Fwactale” is actually referring to “Fractale”, and “Tanikan” is actually “Yamakan”, and he did say he would retire if Fractale did not sell well(Refer http://goo.gl/WDuqGV). And yeah, Kagami is very right in the sense that it’s a unique anime, and what he says in here is true. Have you ever seen another Anime Opening like this? I haven’t. Also, I liked the anime a lot. I think I didn’t like the ending much, but still. So, what did Tanikan… uh, Yamakan, do? I’ll rant about it in the next episode’s post. 3. 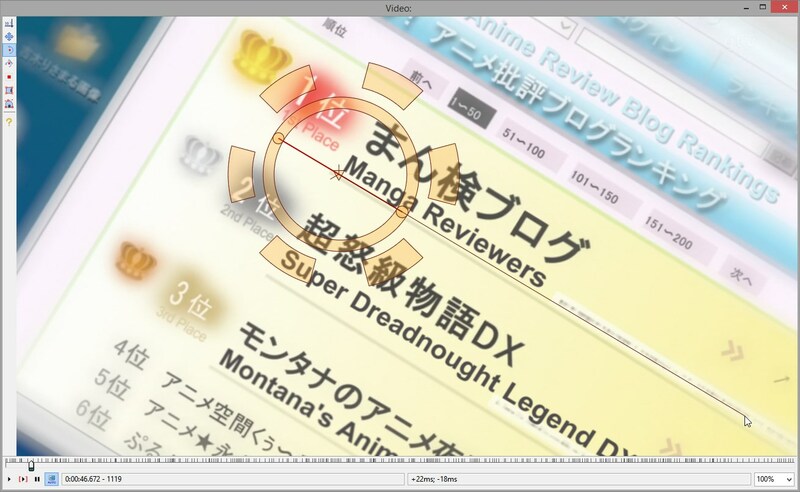 Fun fact: A-1 Pictures is the studio who did Fractale, and who are doing Denpa Kyoushi as well. Coincidence much? 4. If you’re wondering why it references Fractale in 2015, please take note that the manga began in 2011, the same year as Fractale, and I feel it was in the author’s mind when he wrote Chapter 2 of the manga (which this episode animates). 5. At 00:50 or so, the “1” is gold-colored and the “2” is silver-colored. 6. Sonumap = Sofmap, one of the retailers in Japan selling electronic goods as well as these stuff. 7. At 16:11, for an explanation of ” 2ch married women’s board users”, refer http://goo.gl/WmkNi3 And also, 2ch is Japan’s 4chan. 8. Hiiragi Koyomi is voiced by Mimori Suzuko, also lovingly known as Mimorin. You might have heard Umi from Love Live, right? Umi and Koyomi have the same voice actress. It’s been a while since an episode allowed me to rant this much on it. Special thanks to our TLC, convex, for catching a lot of these references! Anyway, we badly need a TLC for our releases! So was your QC, like, drunk or something? So when you will put ep3? Sorry, we cannot, before it airs. So your merging destroyed layers, messed up rotation and perspective, and chose silly fonts? I am yet to check it, but if that’s the case, mind fixing it for us? The frz is off, and no matter what renderer you use, it doesn’t change the fact that /you have no layers/. Okay. Yeah, it has no layers and that frz (might be) off. But you see, this sign was not supposed to be Typeset because we’re lacking in manpower. I had asked the typesetter to skip it since I don’t want any burnouts. Only because he had the goodwill to actually do it that you see it on the screen. Simple enough. And if you feel it’s not up to your standard and you would like to make it better, come down here and give us a hand, lol! 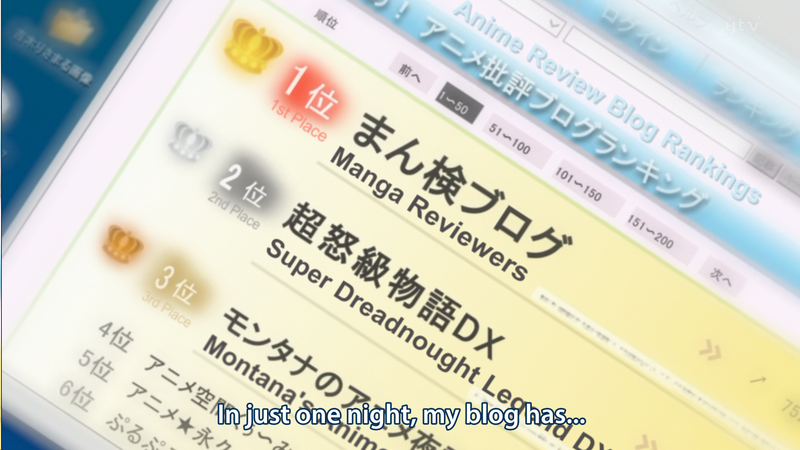 Definitely off, especially since we’re ignoring the styling of “Anime Review Blog Rankings”. You have QCs and list six active TSers. I don’t see why you would need another one. That list is old old old. 0.5 + 0.5 TSers now. Sigh, I fail to realize why you’re totally ignoring the “This website has been shut down” sign since that’s the most atrocious one out there. And I’m done OCDing about Typesetting so you’re looking at the wrong person/people to criticize. I mean how many hours you need to translate an episode? Hello guys I’m a fan of denpa kyoushi you could tell us when to release the 3 episode, I’m so Anxious. Thank you so much.! Go and watch DDY’s release. Within the next 2 days. Promise! Hey, at least they didn’t stick 6 chapters into one episode like Yamada did, so I am more inclined to watch this rather than the former XD Thanks!